The Chinese New Year celebration was said to start from the year 2697BC. The Yellow Emperor or Huangdi, formerly romanized as Huang-ti, is one of the legendary Chinese sovereigns and culture heroes included among the Three Sovereigns and Five Emperors. Tradition holds that Huangdi 100 years reigned from 2697 BC. Most scholars now agree that the Yellow Emperor was originally a deity who was later transformed into a human figure. 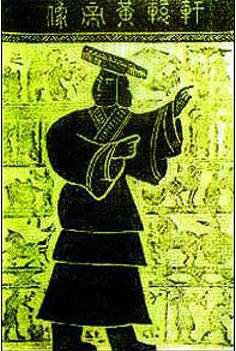 The cult was particularly prominent in the late Warring States and early Han period, when he was portrayed as the originator of the centralized state, a cosmic ruler, and a patron of esoteric arts. Traditionally credited with numerous inventions and innovations, the Yellow Emperor is now regarded as the initiator of Chinese civilization and said to be the ancestor of all Chinese. According to legends, the beginning of Chinese New Years started with the fight against a mythical beast called the “Year”. The “Year” looks like ox with lion head and it stays in the sea. At the night of New Year’s Eve, the “Year” will come out to harm people, animals, and proprieties. Later people found that the “Year” is afraid of red color, fire, and loud sound. Therefore, for self protection, people form the habit of posting red Dui Lian in front of the house, launching fireworks, and handing lantern at year end. 1900-01-31 White Metal Rat, the 4597th Chinese year. 2030-02-03	Dog, the 4727th Chinese year.